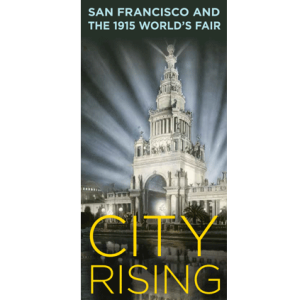 On the occasion of the 100th anniversary of San Francisco’s Panama-Pacific International Exposition, Robert Tat Gallery presents photographs picturing the scope of San Francisco history–from the 19th century to the present day. The retrospective begins with a rare panorama made from two daguerreotypes of the San Francisco waterfront before April, 1851. 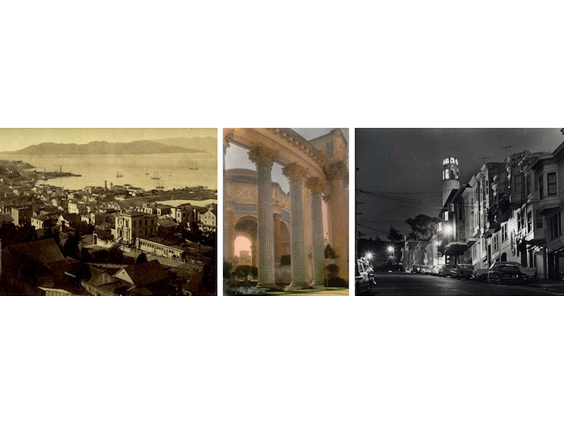 Other 19th century photographs of the early city include views by Carleton Watkins, I. W. Taber, William Henry Jackson and others, dating from the 1870s. The exhibition continues with images of the destroyed city just after the earthquake. A vintage Arnold Genthe photograph made a day or two after the quake reflects the horror and devastation, along with the prevailing spirit of the survivors. An R. J. Waters panorama made one year after shows a partially re-built city. 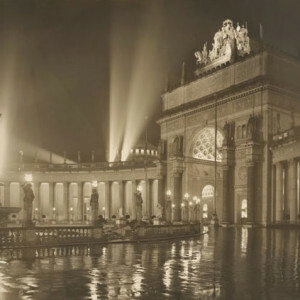 Then, on to the 1915 Panama-Pacific Exposition with vintage prints depicting the classical architecture of the Fair by Studio Cardinell-Vincent (official PPIE photographer), Francis Bruguiere and others. 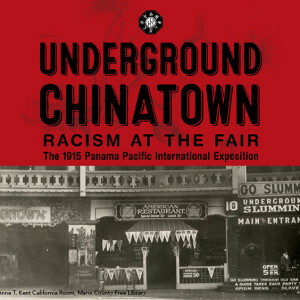 Of particular note is a grouping of vintage hand-colored views of the fair. The exhibition concludes with 20th century images of the mid-century and modern city, including works by Perkle Jones, Moulin Studios, Horace Bristol, Vern Sutcher and others.